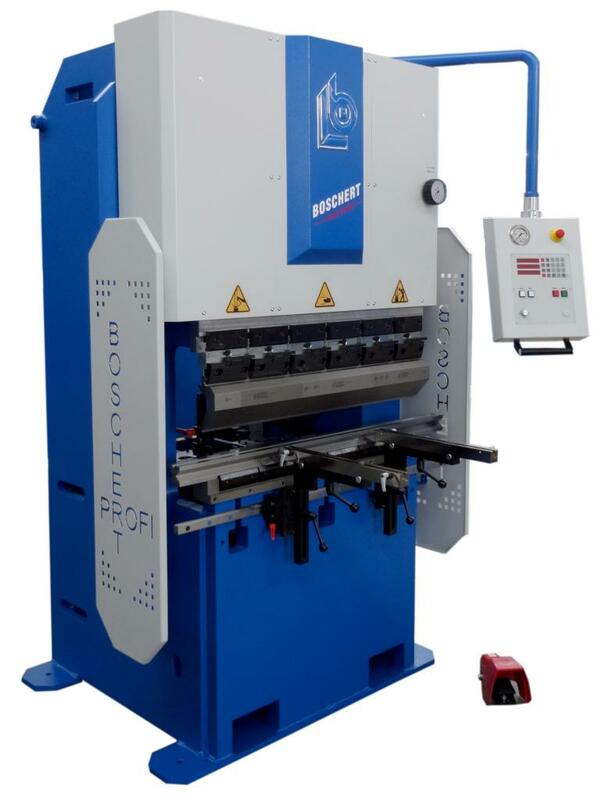 The Boschert Profi 28 is a press brake with hydraulic drive. 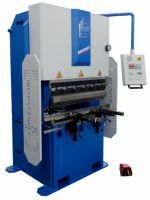 With the press force of 280 kN (28t) and, for example, a bending length of 300 mm you will be able to bend material up to 10 mm thickness. The standard tool holder system is type Amada or Promecam. Other systems are available on request. The side and height adjustable depth stops have stop fingers with 2 faces each. The extremely compact and robust structure of these machines and the twin guide at each side guarantees a repeatable accuracy of 0,02 mm. The Profi 28 is easy to operate and bend angle by pressure with handwheel. The depth stops are programmable with a control for up to 10 positions.